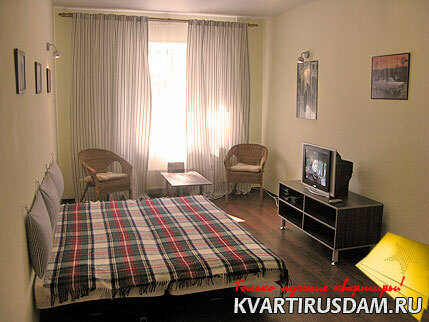 1-roomed apartment on street Vatutina 41/1, a new building, European-quality repair, a category "lux". 8-etazhka, 2 floor, the on-door speakerphone, plastic windows. Room: an upholstered furniture set (a 2-sleeping bed (an European standard) + 2 armchairs + a coffee table), the laminated floor, ironing toска, a dryer for linen. Kitchen: kitchen set, a lunch zone, a laminate. Home appliances: an electric stove, a refrigerator, the washing machine, a microwave, DVD, TV Panasonic with the panel, a teapot, an iron. Bathroom: a per capita cabin with illumination and a tuner, import the sanitary technician (a washstand, a toilet bowl), a floor and walls - a tile.